Thank you for considering Dallas Skin Cancer Center for your treatment. We understand that skin cancer is not a trivial diagnosis and understand your concerns. At Dallas Skin Cancer Center, Dr. Frank Saporito has dedicated his medical-surgical practice to treating skin cancer using minimally invasive techniques. 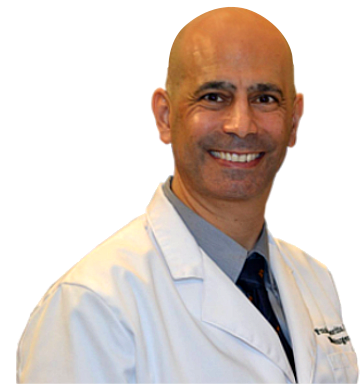 Dr. Saporito is a board certified dermatologist who specializes in Mohs micrographic surgery, the gold standard for removing nonmelanoma skin cancers, achieving cure rates of up to 99% while accomplishing the best cosmetic outcomes for you. Dallas Skin Cancer Center is a state-of-the-art facility located on the Baylor University Medical Center campus. Dr. Saporito has practiced at the Baylor University Medical Center for over ten years. He has established relationships with other physician specialists to facilitate a multidisciplinary approach for more complex cancers. These specialties include surgical oncology, head and neck surgical oncology, medical oncology, radiation oncology, dermatopathology and plastic surgery. Because his practice is located on the campus of a tertiary teaching hospital, Dr. Saporito has experience with more challenging cancers including cancers occurring in immunosuppressed transplant patients and Merkel cell carcinoma. Same day surgery and reconstruction in most cases, completed in a single visit. Most precise-100% of the tumor margin is examined under a microscope. Mohs surgery is a cost-effective, outpatient procedure performed under local anesthesia. It includes pathology and wound repair and spares as much healthy tissue as possible. Most insurance plans accepted. Our billing specialist will explain your out-of-pocket expenses and answer any questions you may have. Payment plans are available to those who qualify. A comfortable lobby area with reclining chairs while you wait. Free Wi-fi and a beverage/snack bar is available for your convenience. Ample handicapped and free parking immediately adjacent to the clinic. At Dallas Skin Cancer Center, we schedule a limited number of surgeries per day so that Dr. Saporito is never rushed and can concentrate on providing the best care possible. We treat you like family and are committed to providing a professional, yet compassionate environment. Our caring staff looks forward to hearing from you . Call today for a consult!